Past Members: Where are they now? Why do most organisms undergo sexual reproduction? Or more specifically, what factors maintain sexual reproduction when strains within a species that reproduce asexually could invade and displace sexuals? More than 20 genetic, evolutionary, and ecological hypotheses have been proposed to answer this basic question, often considered the queen of evolutionary problems. As an evolutionary ecologist, my research focuses on the ecological and evolutionary consequences of sexual and asexual modes of reproduction. My research subjects include both marine and freshwater invertebrates. In my lab, we use molecular genetic marker studies, laboratory infection experiments, and studies of natural populations to address our main questions. Research topics in my group include host-parasite interactions, the ecology and evolution of sexual and asexual reproduction, life-history evolution, and invasion ecology. 1. The coevolution between parasites and their hosts, a process that should select for sexual reproduction according to the “Red Queen” hypothesis. 2. The ecological and evolutionary consequences of asexual reproduction, including factors that affect the ability of clonal populations to invade new habitats and biological communities. Focus: My broad research and teaching interests are in evolution, ecology, and genetics. About Me: For my dissertation, I am investigating the role of epigenetic variation in adaptive responses using diverse empirical and theoretical approaches. My empirical approach capitalizes on the ideal nature of the New Zealand freshwater snail, Potamopyrgus antipodarum, for answering several basic questions that fuel the controversy over the role of epigenetic variation in adaptive responses. In my theoretical approach, I am constructing and analyzing mathematical models and simulations to identify the evolutionary conditions where epigenetic variation enhances or retards adaptation to local habitats. In addition to my dissertation, I have been fortunate enough to use similar theoretical approaches in collaboration with a group at the University of Idaho. In this collaboration, we are studying the possible challenges, benefits, and evolutionary consequences of the design and implementation of transmissible viral vaccines. My passion for teaching matches my passion for research. Serving as a mentor to promising undergraduate researchers and as a TA in several courses at WSU has fostered my ability to inspire and effectively educate students. I aim to graduate in the spring of 2020 and pursue post-doctorate opportunities in the United States and abroad. Focus: My current interests are in how stressful environmental variables interact to effect fitness. About Me: I graduated from University of Central Florida with a B.S. in Biological Sciences. There I studied behavioral and morphological phenotypic plasticity in Schistocera grasshoppers and conservation biology of sea turtles on the Archie Carr National Wildlife Refuge includes dune restoration effects on nesting and temporal variation of tumor-causing virus. Focus: Investigating DNA methylation as a means of adaptive phenotypic variation in clonal populations inhabiting various environments. 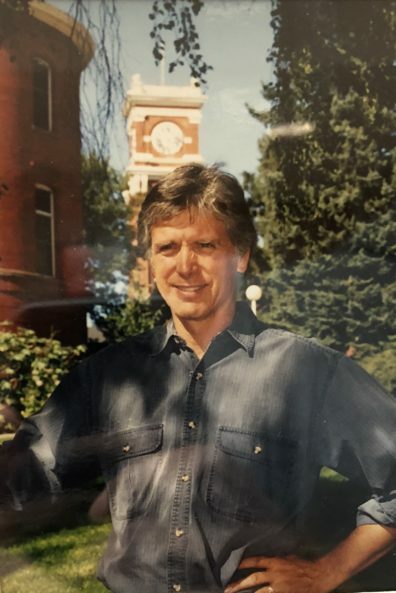 About Me: I am originally from Post Falls, ID, and I performed my undergraduate degree in biology at the University of Idaho. My work there focused around bacterial community structure and broad ecological questions centered on changing environments and levels of biodiversity. Focus: How do multiple stressors affect an organism’s morphology and physiology? About Me: I’m interested in looking at the effects of multiple stressors on the asexual New Zealand mud snail (Potamopyrgus antipodarum) found in the U.S., as its clonality allows us to investigate epigenetic variation. As a result, I’ve joined the Dybdahl lab at Washington State University as a master’s student starting in 2018. I was born and raised in Washington, and earned a B.S. in Biology: Ecology, Evolution, and Conservation at the University of Washington. I’ve also spent several summers doing field work in the Pacific Northwest with the USDA Forest Service and the Hille Ris Lambers lab at the University of Washington. Focus: I live to answer questions no one has ever asked before about the behavior and ecology of aquatic invertebrates. About Me: I am fascinated by aquatic life, and have spent most of the best days of my life in or near water. Every day I learn something new, and I look forward to it. Equal parts nerd and geek I spend a lot of time at the computer, playing games, researching various topics, or coding. I have a long history of dealing with different barriers between myself and my goals, and I will not hesitate to help others make their way through their own problems. I also have a B.S. marine biology w/ minor in computer science. Focus: Adaptation to novel environments and how phenotypic plasticity plays a role in invasion success. About Me: I have grown up all over the country, with my family living in Colorado (for now). I began working in the Dybdahl lab in 2015, and was initially inspired to pursue my research project due to distinct variations in mudsnail shell size. My in the Dybdahl lab looks at phenotypic plasticity as an explanation of invasion success. My overall research goals are to address the role that epigenetic change plays in adaptability to variable environmental conditions, and to identify how human impact on the environment impacts adaptation and phenotypic expression in sensitive organisms. I am attending University of California, Davis in Fall of 2019 to obtain a PhD with Dr. Rachael Bay and address my larger research goals. Involvement: Model organism care and assisting in experimental set up. Interests: Microbiology, turtles and running tabletop RPGs. Involvement: Assist in snail care and offspring isolation specifically for Abby Hudak’s project. Interests: I love animals (I would love to work with them after graduation)! Involvement: Assisting in snail measurements/photographs and model organism care. Involvement: Model organism care and assisting in offspring identification for further experimentation. Interests: Hiking, French and animals (as I am pursuing a Zoology Degree). Interests: My interests vacillate broadly between herpetological and invertebrate systems. When I am away from my studies, I enjoy backpacking in the Cascades and tackling my goal of seeing all of Olympic National Park on foot. Contact Dr. Mark Dybdahl (dybdahl[at]wsu.edu) if you are interested in joining our lab! We are located at Washington State University in the School of Biological Sciences Department. The NZ mudsnail in action!